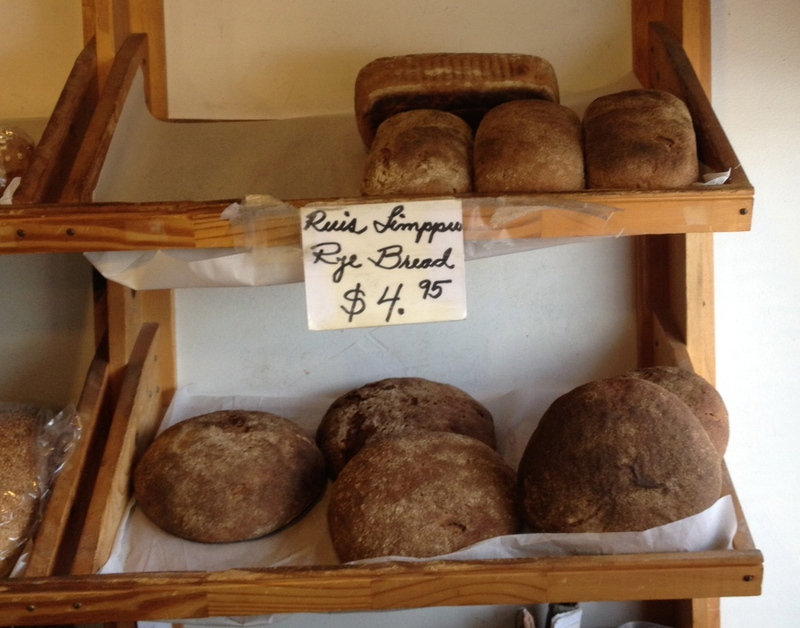 If a big rise is on your mind don’t get too excited about the loaves at the PALM BEACH BAKERY & CAFE. However, if dense, dark and toothsome is what you’re after in a loaf then search no further than the ruis limppu aka rye bread. Forget the seeded rye of that delicious pastrami sandwich you had at Katz’s Delicatessen – lofty and soft may be a perfect mate to that meat but the problem is is that’s not rye bread. Think of it as white bread with a caraway edge. For the real deal your most likely option are the packaged loaves tightly sealed in plastic surrounded by puffed up Wonder whites at your local grocery store. In Scandinavia and Eastern Europe bakeries are abundant with varieties of rye bread while in America chances are you’ll be stuck with that brownish black shrink wrapped brick. Not so at the PALM BEACH BAKERY & CAFE in the workaday locale of Lantana, a mixed demographic blip in Palm Beach County. 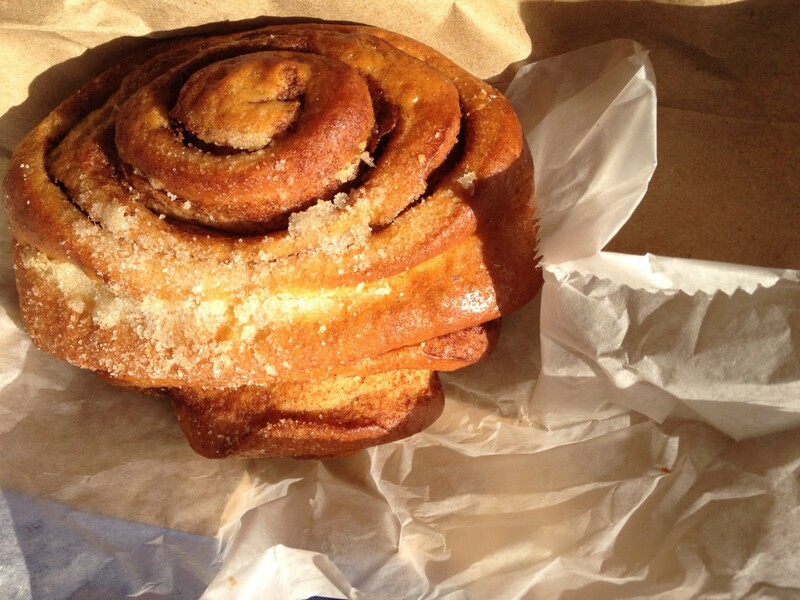 Owing to its Finnish population – the largest outside of Finland – this is the read deal in Scandinavian bakery appeal even if it’s less than a mile from Florida’s Atlantic shores. Nothing fancy at this shack of a shop on a side street just off of Federal Highway. But there’s a history to the owner and baker, Jouko Vaskivuo, who started as an apprentice in Pietarsaari, Finland in 1962 and came to the Florida in 1975. When he arrived he opened a bakery which was later sold, had a stint in a Miami restaurant and also worked for a cruise line before returning to his native Finland. 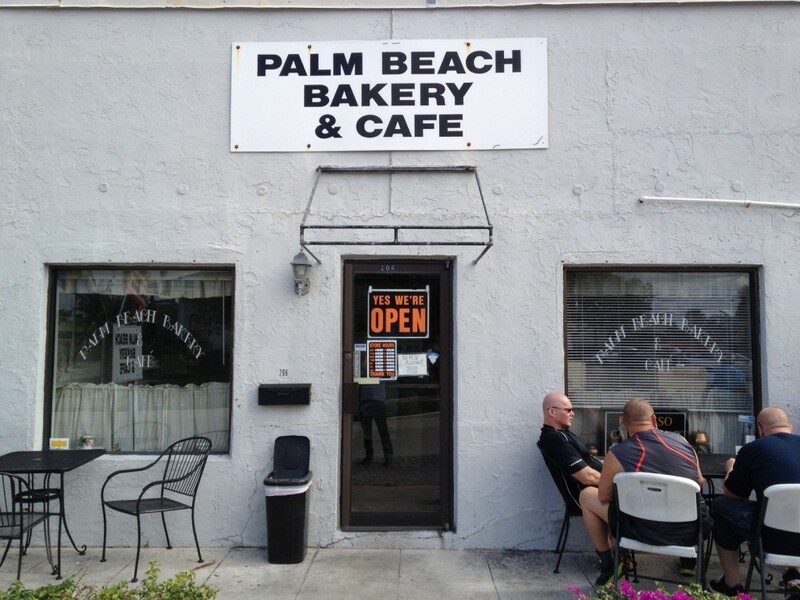 After nearly a decade away he returned to Lantana and opened THE PALM BEACH BAKERY & CAFE in 2001. A dozen years later it is still going strong and it is a de facto community center for Finnish and Swedish expats to gather for homeland eats and chats in their native tongue. While there’s lots of demand for the bakery’s yeasty pastries like the exceptional cardamon-edged cinnamon bun and sweet “pulla” breads, rose buns and fruit-centered danishes, it’s clearly the ruis limppu, aka rye bread, that is the staple as well as star . Whether in round or rectangular loaves Mr. Vaskivuo’s gets the sourdough starter going daily – there’s no yeast – so that your ruis limppu is just right every time. 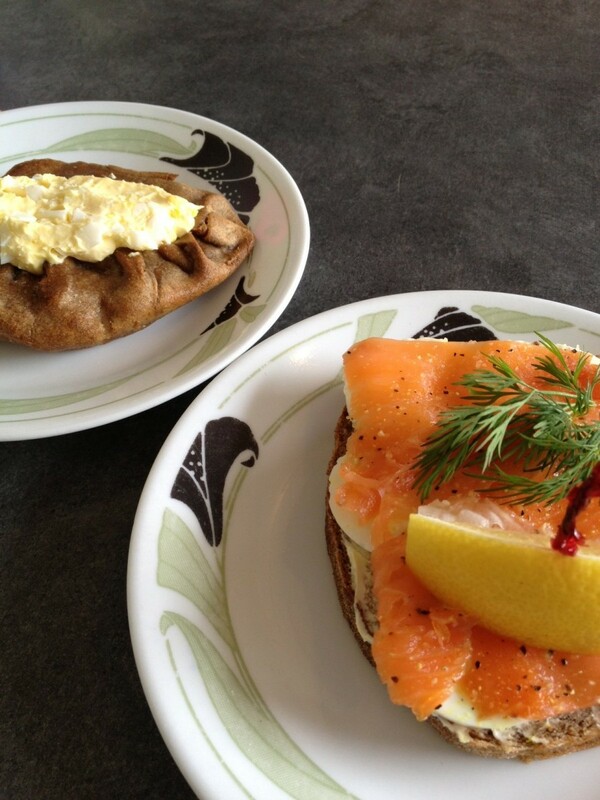 Ahead of getting that bread home the shop’s savory offerings include a thick slice of rye underneath a hard-boiled egg and smoked salmon or a rolled out rye that forms a crust filled with rice and topped with egg salad. This is all seriously good comfort food. Mr. Vaskivuo attributes much of the ruis limpu’s unique taste to the sourdough starter’s 10 to 12 hour fermentation regimen along with the simple and natural ingredients – no preservatives are ever used – in his densely rich rye bread. This and the low moisture content also make way for a long shelf life: a loaf is likely never mold over and will last for a good four days before turning rock solid on your kitchen counter. It’s just the sort of sturdiness you’d expect from the the kneads of Northern European stock. Bread is not dead at the PALM BEACH BAKERY & CAFE. Palm Beach Bakery & Cafe. No Website. 206 East Ocean Avenue, Lantana, Florida. Tel. 561-585-0222. Closed Sundays, holidays and in summertime, usually for a few weeks in June.